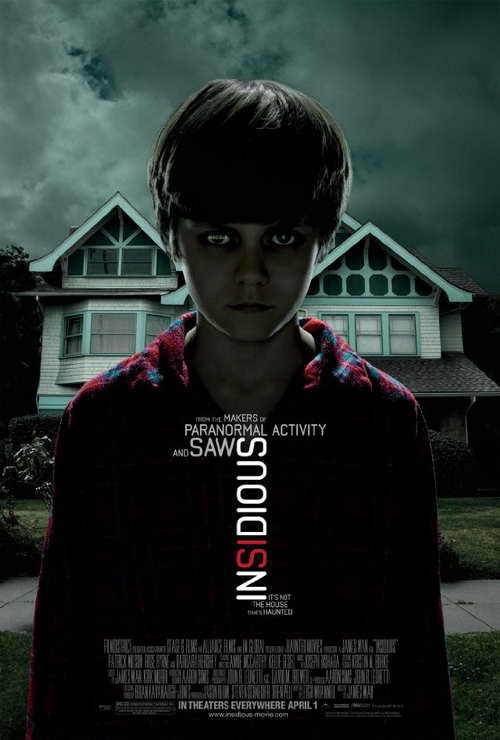 Hey gang, anyone here catch Insidious, starring Patrick Wilson, Rose Byrne and Ty Simpkins? Over on IMDb, it's received a great user-rating of 6.7/10. If you enjoyed the movie, you feel like the best fan ever of the movie, and you might be interested in a "walk-on" role contest for Insidious Chapter 2, then today might be your lucky day. HOW TO ENTER: Fans can enter by logging on to www.insidiouscastingcall.com and uploading a video to the Official Insidious: Chapter 2 YouTube or Facebook Page that tells James why he/she is the biggest Insidious fan and deserves to be cast alongside stars Patrick Wilson and Rose Byrne in the sequel. The contest closes on February 4th, 2013. Winners will be announced on February 8th on the Official Insidious: Chapter 2 Facebook Page.The lucky winner, to be personally selected by Wan, Whannell, and producer Jason Blum, will receive an all-expense paid trip for two to Los Angeles where he/she will get a walk-on role in the movie, filming now and due for release in theatres this summer.